5 Technology Observations: 12 February 2015 — After Nines Inc.
Good morning, I.T. entrepreneurs. I never get tired of writing that line, BTW. Nor this one: Here are five technology news updates, insights, chatter, rumors and so much more to start your day for Thursday, February 12, 2015. 11. Bad Timing? : Smartwatches powered by Google's Android Wear technology are off to a painfully slow start -- selling just 720,000 devices in the second half of 2014, according to Canalys. The big question: Will Apple Watch -- and its WatchKit software development tools -- jumpstart the market upon delivery in April? Or is this an industry that needs far more time to sort itself out? 9. Eying Wall Street: Dropbox has hired a new CFO-- Vanessa Wittman -- essentially setting the wheels in motion for a potential IPO run. The move comes one month after rival Box launched a successful IPO. 8. Data Center Reset: Facebook, as you'll recall, is driving all sorts of open source and software-defined initiatives to help redefine how data centers are designed. The result could be lower cost, more scalable, more flexible data centers -- that eventually disrupt the likes of Cisco, IBM, Oracle, HP and Dell (among others). The latest piece in Facebook's data center plan surfaced this week. But remember: Every time a disruptive plan heads for the enterprise, the entrenched giants typically find a way to respond before they lose their customers -- and their shirts. 7. Take Less: Another warning about raising money -- this time from Chris Myers, co-founder and CEO of BodeTree, a cloud-based financial platform for small businesses and individuals. Myers' key warning to those seeking seed or VC dollars: "Yes, you can raise too much money." He goes on to explain why he took a more conservative route at BodeTree. 6. Selling Your Business? : Or want to buy one? Maybe Bizdaq can help. I'll share more details on this either later today or Friday. Based on our own M&A experience, I think I have a reasonably good feel for how Bizdaq can help you -- and where it can't. 5. 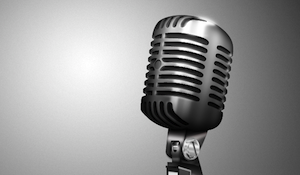 Tune In: AppDirect Co-CEO Daniel Saks will join a special edition of our podcast later today. He'll explain how the online application distributor just raised $50 million in Series D funding. Also, Saks will describe how he and Co-CEO Nicolas Desmarais divvy up leadership responsibilities at the fast-growth company. The podcast, part of our Good Evening, I.T. Entrepreneurs series, will be available by 9:01 p.m. this evening. Check here for the conversation at that time. 4. Quote of the Day: "I can tell you're back." That's what my wife told me around 7:45 a.m. today -- her way of stating that the creative wheels (and business wins) are accelerating at After Nines Inc. On the one hand, Amy Katz and I "returned" to work in September 2014. But on the other, it took a bit of time for us to get back in to game shape -- and to really, really begin to sort out a long-term plan for our company. "Put the customer first" has always been central to that plan. But what customers do we eventually plan to embrace? Stay tuned. 3. One Dashboard, And More: Back in January, we mentioned that Datadog raised $31 million to build and expand a single dashboard to let you manage all of your servers, clouds, metrics and apps in one place. The update: Some of that money apparently went to an M&A deal... Datadog just acquired Mortar Data -- which allows companies to "build and run custom big data applications and data pipelines." Financial terms were not disclosed. 1. One Code Base: We're obsessed with that mantra here at After Nines Inc. The big question -- how do we leverage a single code base while potentially pushing our presence from Web to native iOS and Android? We've found two promising answers. At some point, we'll let you know whether one of the answers actually delivered the goods -- to you. In the meantime, we're enjoying the ride.